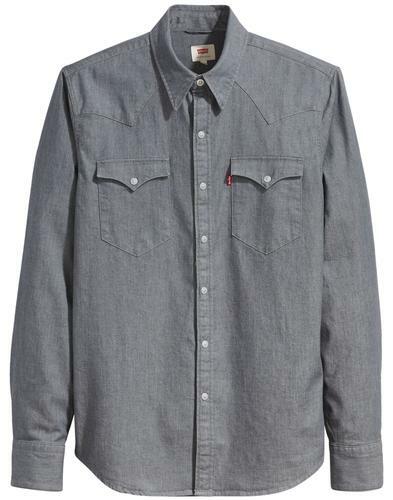 Levi's 'Barstow' men's retro 1970s classic denim western shirt in Brooklyn stretch. A vintage distressed stonewash blue denim shirt wit traditional retro snap button placket and iconic Levi's Batwing flap pockets. 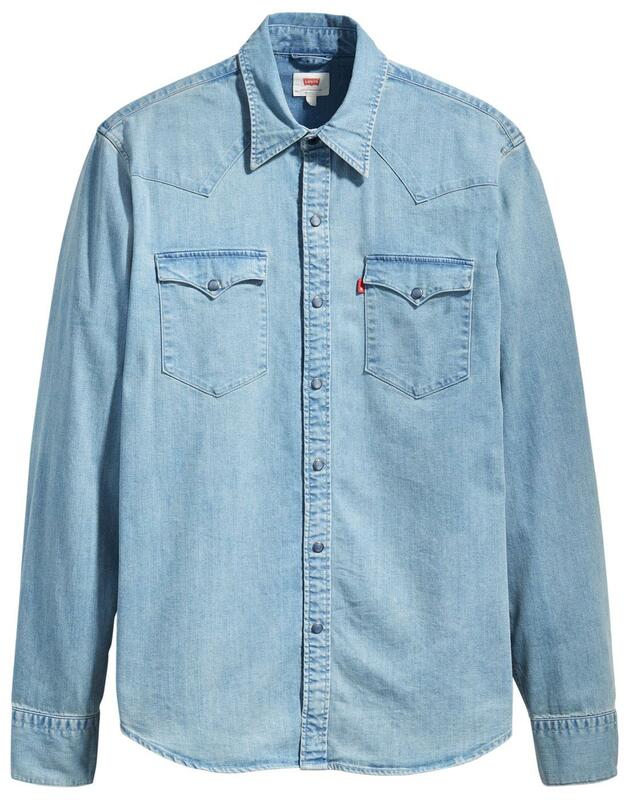 Benefitting from stylish mod point collar, subtle stitch details and typical western shirt shoulder yoke, this classic Levi's 'Barstow' denim shirt is sure to be valuable addition to your retro clothing collection. A great layering piece that looks great worn over Levi's Batwing tees and under a jacket - Oh, and don't forget to team with your fave pair of Levi's denim jeans. 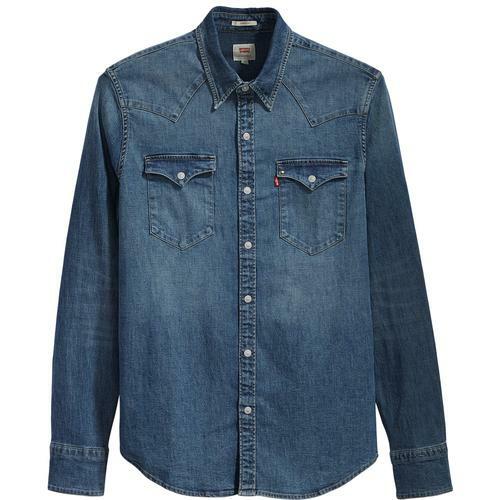 The Levi's 'Barstow' men's denim western shirt is an iconic mens fashion masterpiece that blends Levi's Americana, Western Frontier and workwear heritage with a contemporary Indie kick. 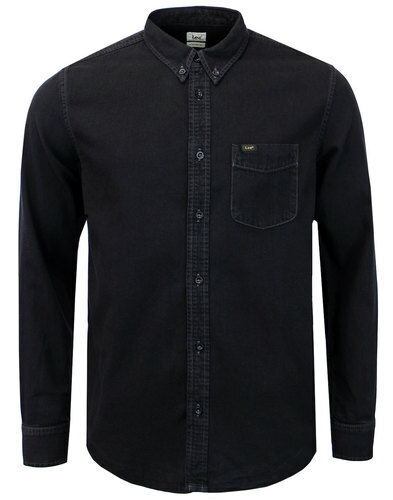 Every wardrobe needs a Levi's 'Barstow' denim western shirt! 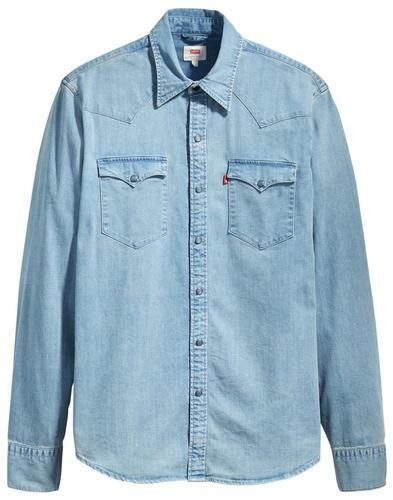 - Levi's 'Barstow' men's retro 1970s denim western shirt in Brooklyn stretch blue. - Classic western style shoulder yoke. - Silver snap fasten placket with traditional button closure to neck. - Snap fasten flap pockets to chest. 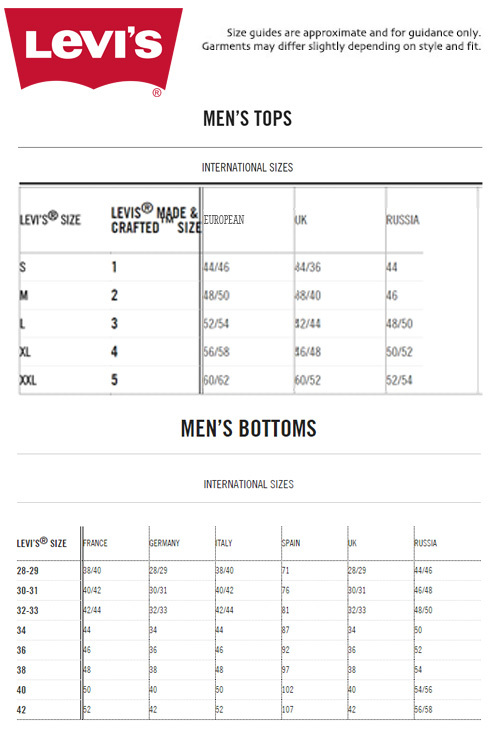 - Levi's Red Tab to left side chest pocket. - Slight indie distressed finish. - Colour: Brooklyn Blue Denim. - SKU: 65816-0253 Levi's® Barstow Denim Western Shirt. Composition: 72% cotton, 14% viscose, 12% polyester, 2% elastane.